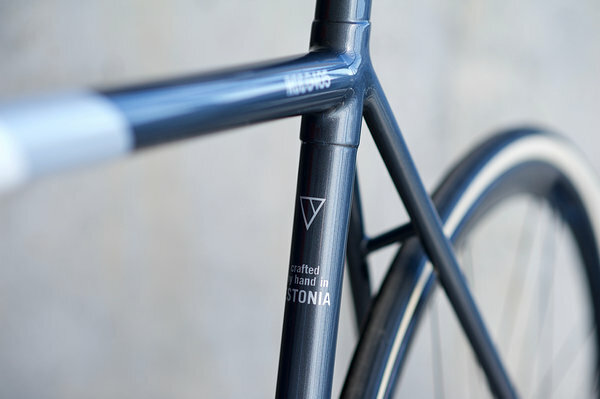 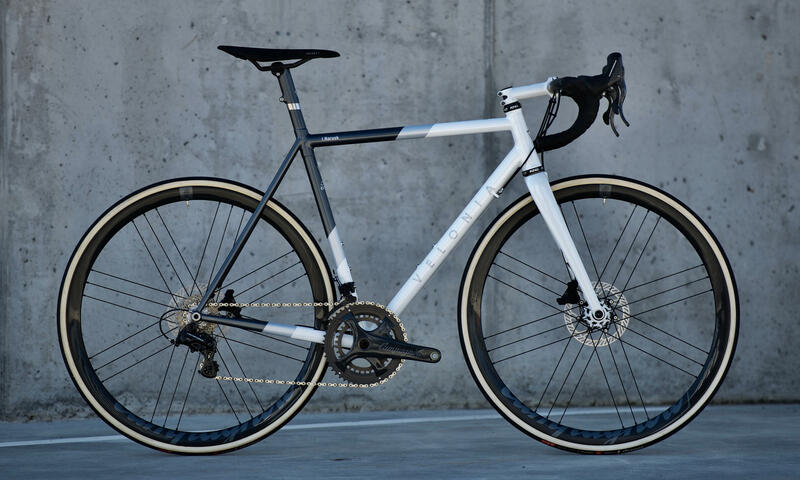 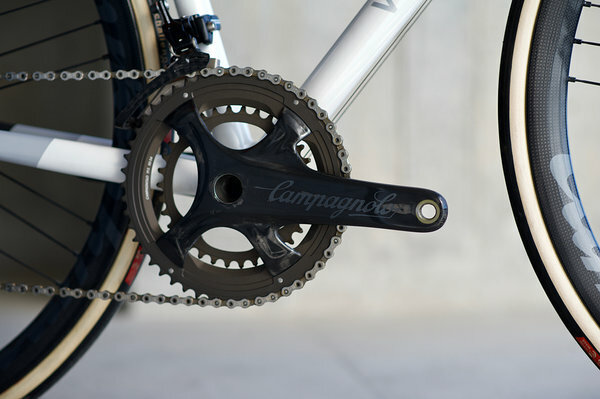 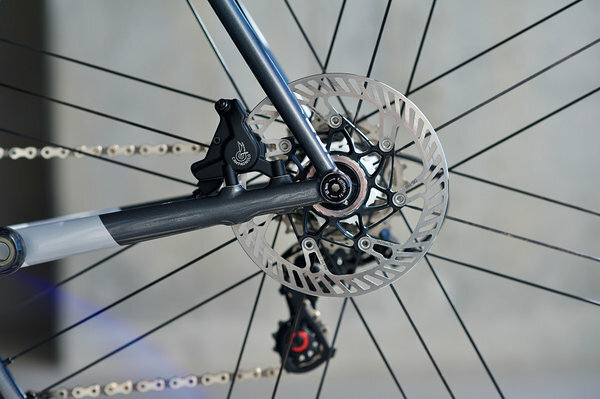 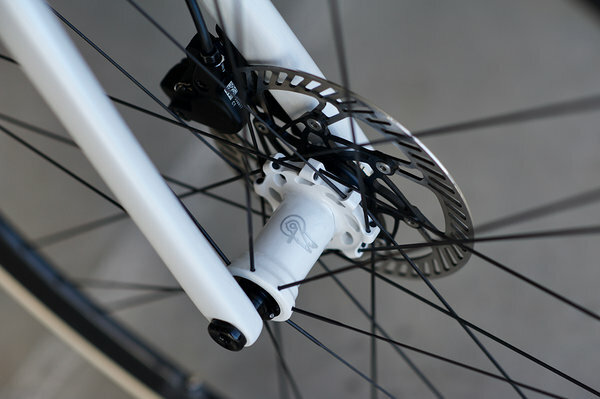 Stainless steel disc brake road bike. 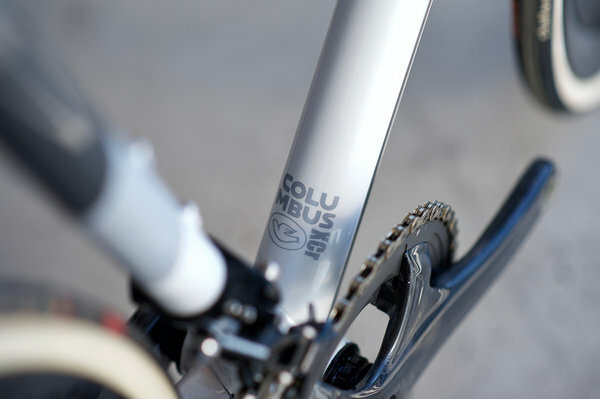 Silver brazed from Columbus XCR stainless steel tubeset. 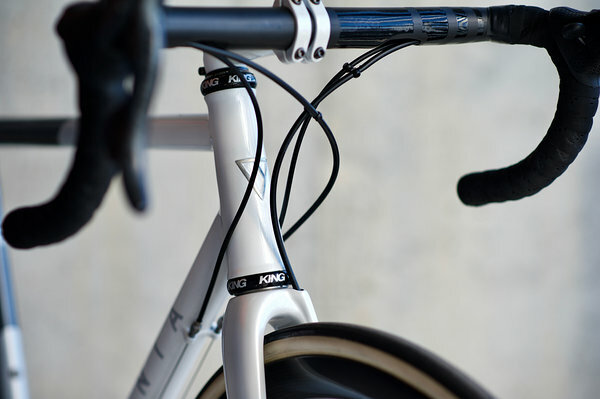 Carbon fibre integrated seat tube. 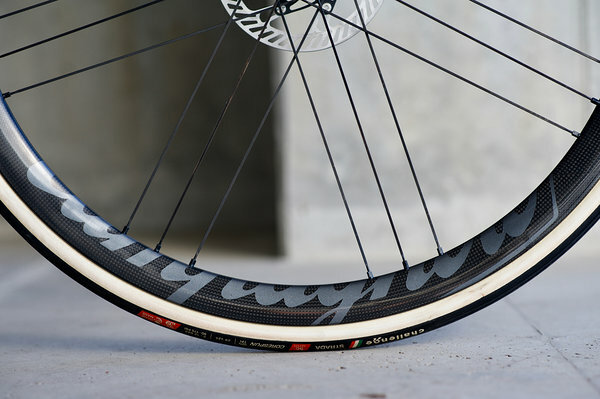 Custom painted Campagnolo Super Record gorupset and Bora 35 DB tubular wheels.